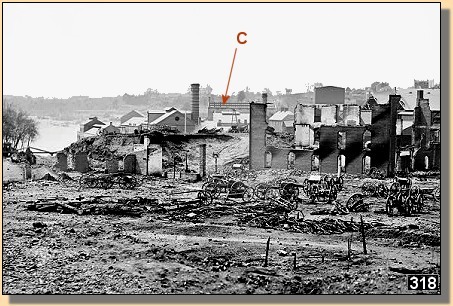 Tredegar Iron Works (1865), showing the nearby buildings damaged by the evacuation fires. 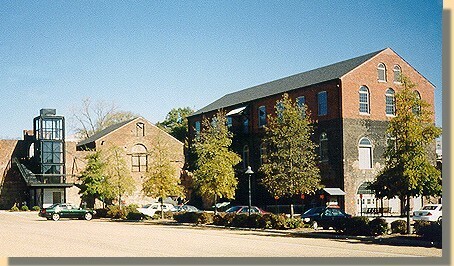 In this photograph of the upper level, the first building (beyond the long, damaged, brick wall) is the Pattern Building, housing the N.P.S. Visitor Center. Until July 2011, this was the main entrance to the N.P.S. Visitor Center. Since then, entrance to the N.P.S. Visitor Center is via the front entrance on the first floor. 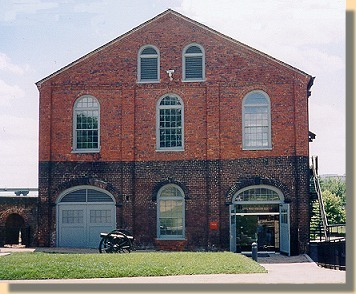 The first floor entrance provides a joint American Civil War Center (A.C.W.C. )/National Park Service (N.P.S.) reception area and a book store. 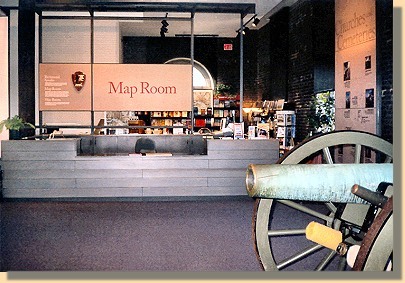 The second floor "Map Room" contains; maps of the 1862 and 1864 military campaigns around Richmod; cannon made at Tredegar; and ranger-led discussions. The third floor has a museum reflecting the war from Richmond's civilian and military viewpoints. 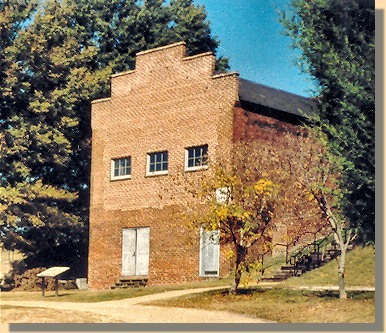 It also houses a free 22 minute movie, shown hourly, that describes the Civil War battles around Richmond in 1862 and 1864. In the Visitors Center, N.P.S. 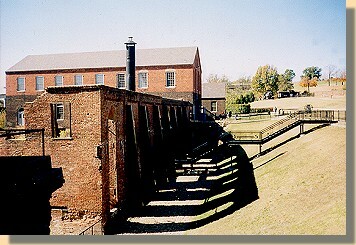 Park Rangers introduce the visitor to the battlefields that are part of the Richmond National Battlefield Park system and provide tour information for the Tredegar Iron works and the other park facilities such as, Beaver Dam Creek, Cold Harbor, Gaines' Mill, Chimborazo Medical Museum, Glendale, Malvern Hill, Fort Harrison, Drewry's Bluff, and Parker's Battery. The cannon in the photograph above (produced at Tredegar in 1863) is used by the Park Rangers to demonstrate loading and firing procedures to the thousands of visitors and students who come to the park each year. Location and direction of photographs in this section.